At its annual I/O developer event, Google(s goog) is widely expected to debut a Nexus Tablet that it will sell directly to consumers. Conversation about such a device started up several months ago, but as of this week, there’s evidence of the actual device. Dubbed the Nexus 7 — which could be an internal code name as opposed to an actual product name — several websites have been visited by this device, or perhaps different variations of the device for testing. Our own server logs show nearly a hundred hits from what appears to be a 7-inch tablet running with 1280 x 768 resolution and Nvidia’s Tegra 3 processor(s nvda). Other data points from the logs show the Nexus 7, expected to be built by Asus, to be running Android 4.1, which looks to be the Jelly Bean version of Android. 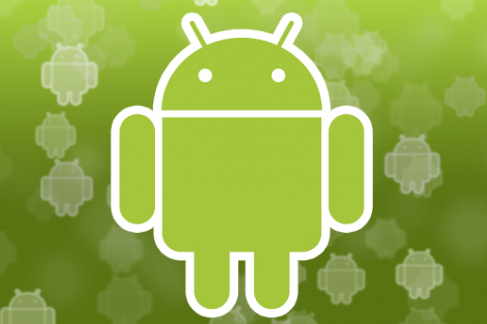 That follows Ice Cream Sandwich, or Android 4.0, which is currently on newer devices and will soon be arriving on T-Mobile’s Galaxy S II smartphone. According to our logs the browser used to visit the site has varied between the native Android browser, Chrome for Android and Currents; Google’s Flipboard-like app for news and social network reading. Google’s I/O event takes place late in June, so we only have a few weeks to wait and see if the next Nexus is a tablet. I see little reason to doubt it as Google typically uses a single device to show off major software advances; if the company has Android 4.1 ready to roll, a new smartphone or tablet is sure to spotlight it. And since Google has jumped back into the direct sales game — it now sells a GSM Galaxy Nexus without contract for $399 — it makes sense that a Wi-Fi tablet priced at $249 or less could be the next piece of hardware for sale in Google Play. The mention of Google Currents reminds me that Flipboard is still generally an iOS (s aapl) only product as only one phone officially has Flipboard for Android: Samsung’s Galaxy S III. But the Flipboard team is looking to expand its software release to other Android phones, this week opening up a beta program. You can get in on the beta simply by providing your email address here and then waiting a short bit. I filled out the form and had a download link in under 24 hours. My first look at the app shows it to be a great reading experience, just as it is on my iPhone and iPad. For a smaller screened reading experience, I’m now turning to the Android-powered Motorola MotoActv on my wrist. A software update released this week added support for Twitter messages and Facebook wall posts on the smart watch / health tracker. The data comes from a Bluetooth-connected Android phone and is great for quick reading, although you can also retweet and like posts directly from your wrist thanks to the capacitive touchscreen. What started out as a wearable GPS tracking device for exercise is fast becoming a capable Android smart watch. While I love Android this is downright pathetic, Google is one of the biggest companies out there and they don’t even bother pushing updates and now 5.0 is around the corner. http://tinyurl.com/cft8bla Here can download this App for free. name and photo also fake. derp.